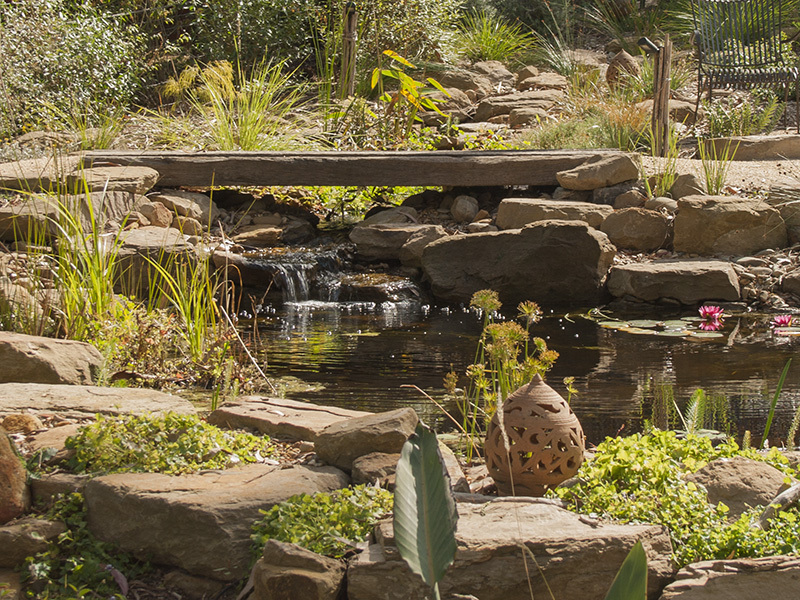 A billabong or stream is a must-have for an Australian native garden. Hardenbergia violacea beside the creek. Water is an important part of the ecosystem of the natural wildlife population. It attracts native birds, frogs, fish, dragonflies and provide a source of respite on hot days for all animals. 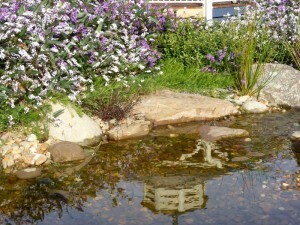 What better way to provide water than in the form of a stunning naturalistic rock stream or billabong. 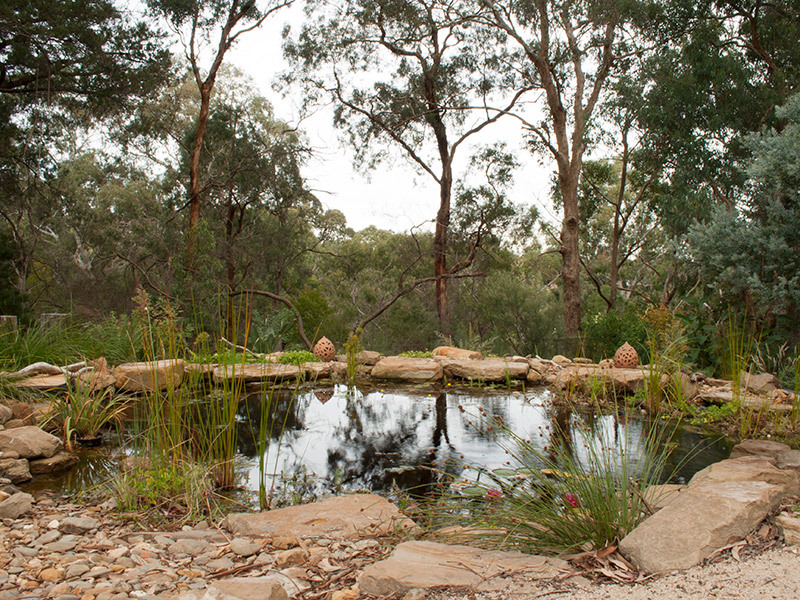 A native landscape can also include a dry creek bed, reminiscent of the Australian bush. Rather than strong greens and bright flowers, Australian native gardens generally display muted, subtle colours. 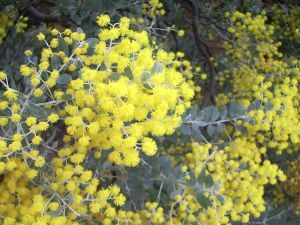 There are exceptions, but grey-green and blue-green foliage – gum trees, wattles, correas and ornamental grasses – usually features more prominently. Boulders and attractive gravel or crazy slate-paved paths enhance native gardens. Some of our gardens feature completely indigenous species (plants that originally grew in that specific location), while others showcase a more general native theme that includes plants from Western Australia (such as kangaroo paws), or NSW and Queensland (like some of the more showy grevilleas). Whichever style you prefer, our native bush gardens provide relaxed, rustic settings that require minimal maintenance … though, of course, native shrubs still appreciate being pruned! If you’re after something more colourful, try a cottage garden. Stream entering the billabong under a timber sleeper bridge.